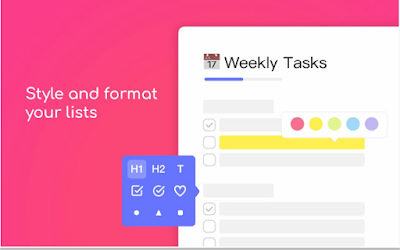 Taskade is an excellent productivity tool we have recently discovered through Product Hunt. It allows you to turn new tabs into notepads with powerful features. You can instantly capture your thoughts and jot them down in a distraction-free editor, create to-do lists and checklists, outline your weekly tasks, plan for your projects and stay organized. More importantly, Taskade offers collaborative features that enable you to work with your team in real time and share with them lists and outlines you create. Other interesting features provided by Taskade include: weekly ‘planner for your homework and assignments with friends and groups; inspirational wallpapers and photos, automatic syncing between your phone, tablet and computer; tag and filter tasks using #hashtag and @mentions; mark any items as complete, whether bullet, number, or checkbox; infinitely nested lists with indent / outdent…’ Give Taskade a try and share with us your feedback in our social media profiles.